Hi friends! This is a card I made for my hubby... yes a CARD (gasp)! LOL. I made it out of two giant manila tags (thanks for the tags, Donna!). The tags were first covered with gesso and then stamped with Honey Mix’d Media Inx and clear embossing powder. 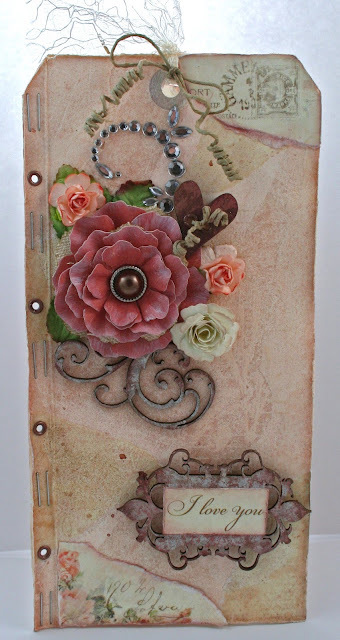 I used the Collage med lilja V567 stamp by Vilda Stamps to create this mixed media background. I love the beautiful texture it adds. The Romantique Rose was made using the Rose Creations dies by Spellbinders. 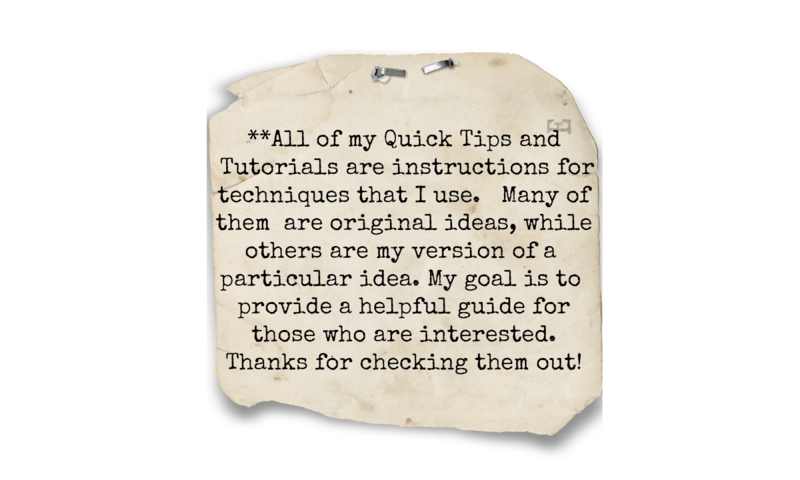 For a tutorial on how to make this flower, click HERE. I used Pion Design’s ‘From My Heart II’ Collection to decorate this card and to make the flowers. All of the chipboard elements are manufactured by The Dusty Attic. This is Nameplates #2 (DA0583). Here is a full shot of the inside of the card. I used a scoring board to score a line along the edges of the tags to help them fold open. For both of the inside backgrounds, I used the Brevbakgrund V260 Stamp. The cute little cherubs were torn from one of the beautiful Pion papers. 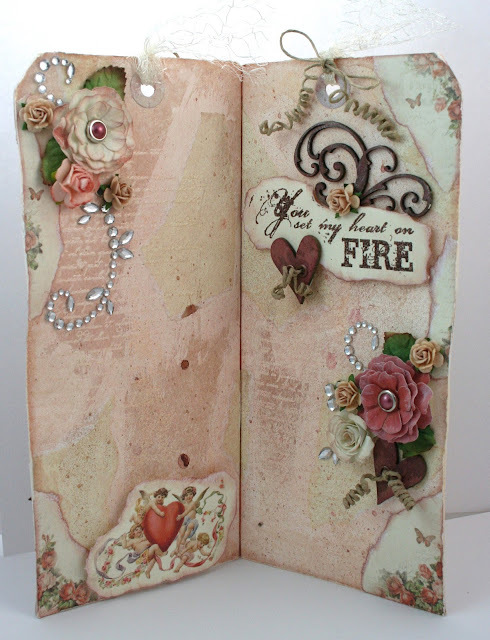 The sentiment inside was stamped with a stamp called You set my heart on fire V441. I used Truffle Mix’d Media Inx and matching embossing powder. 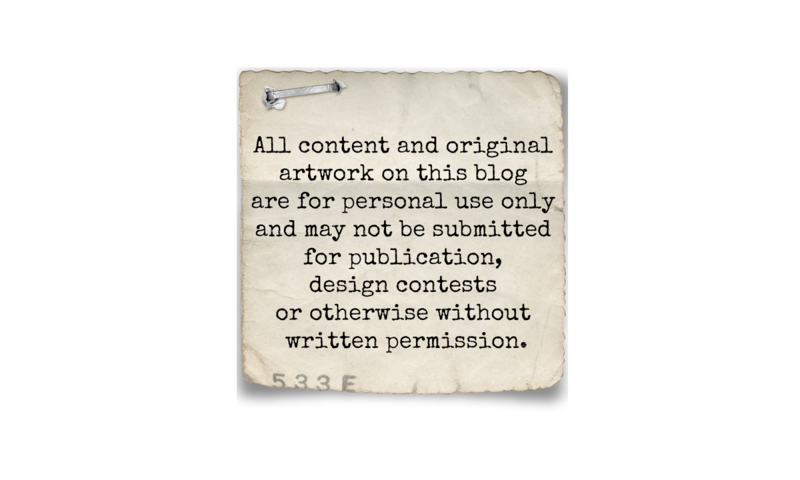 The Mini Scroll (DA0685) is one of the new releases by The Dusty Attic. The chipboard heart buttons (DA0682) are made by The Dusty Attic! I coated them with Schoolhouse Mix'd Media Inx and spray ink by Lindy's Stamp Gang. Then I set two eyelets in the holes and tied hemp cord through the button. Thanks for stopping by today! I hope you liked my card! Wow, you always leave be speechless! Soooo, beautiful. Such a lovely card. You would think it's done when you look at the outside but when you open it up...oooohh so beautiful. That's something to treasure always. Thanks for sharing. This is a beautiful card! I love the flowers! You are so talented! Hugs! Oh this is so beautiful! I can't believe you don't make more cards sweetie-I have loved everyone you have made.